Christmas in July has been a lot of fun, did you have a good time? I had a ball making up new projects, and I hope you downloaded the pdf files for ideas and tutorials where they were available. 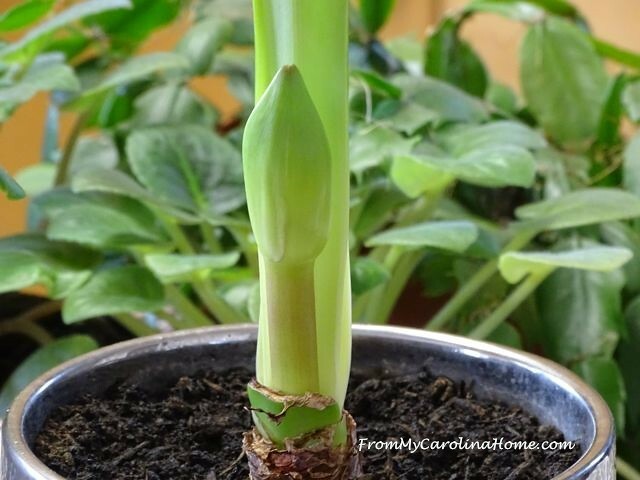 If you are just now finding this series, go back and see all the posts on the previous 12 days for the Christmas in July event on From My Carolina Home. 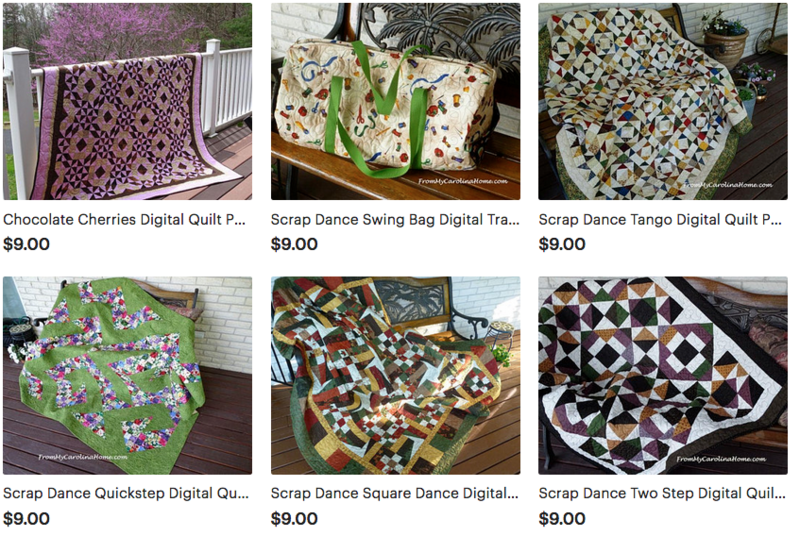 I hope you’ll visit my Etsy Store and Craftsy store for great bargains on fabrics and patterns, links on the names and on the sidebar too. Today is the last day for The Charleston Bag pattern sale (update – sale extended for linkys until Aug 1) I am already planning another event for my favorite season, Autumn! I still have more ideas that I couldn’t fit into 12 days, even with some of the really long posts! 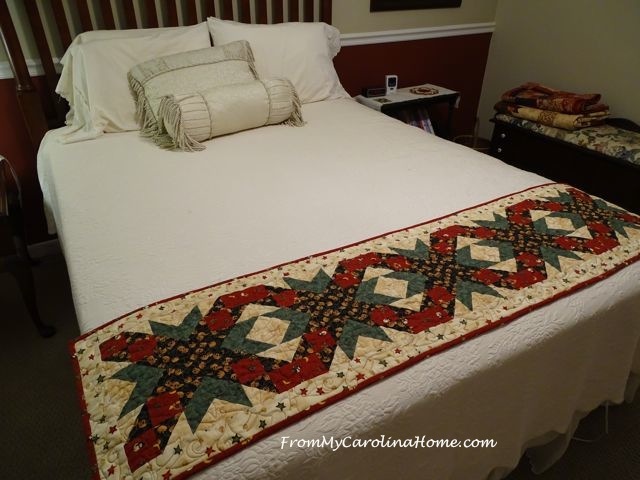 Ideas like this one, use the extra table runner you made as a bed scarf on your guest bed. 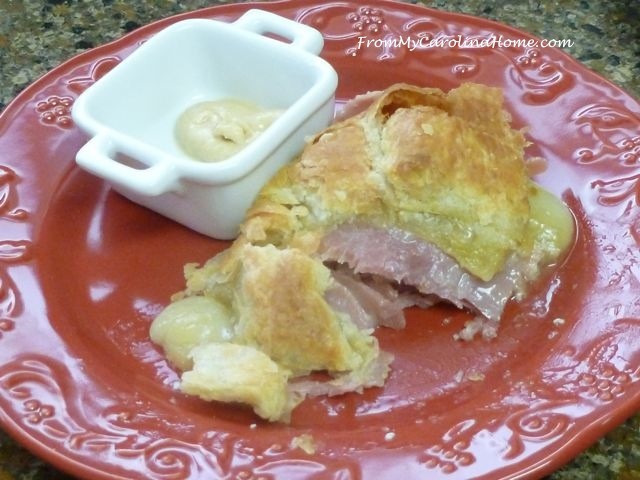 Make my Brie and Proscuitto in Puff Pastry for an elegant appetizer course, or to take to a party. Search the used bookstores and the Friends of the Library sales for some Christmas Theme novels to read while curled up with your new Christmas Quilt in front of a fire. Last year I did a few reviews for some easy reading Cozy Christmas mystery reads. Later this year, at the right time, I’ll talk about forcing blooms for Christmas giving. The winners for all the giveaways were drawn yesterday afternoon using random.org’s random number generator and emails were sent to the winners. Forgive me for not posting pictures of all those draws, but they were sent to the sponsors. Once again I want to thank the six marvelous sponsors who gave prizes for your comments and visiting their websites. I hope you all visited them, and followed where you liked. 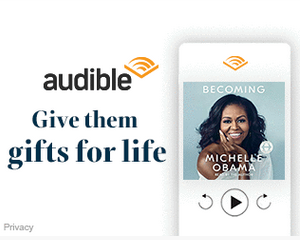 It is traffic on their sites and sales of their products that encourages the sponsors to do these giveaways. Here’s one more chance to thank them for their participation by leaving a comment. All the sponsors have been reading all your comments, and will be reading today’s post too. Please leave a comment on this post if you had fun! 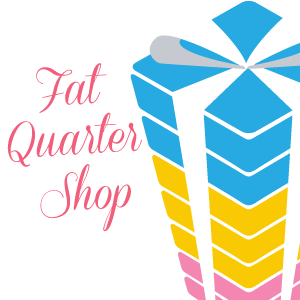 Leading off, our first sponsor, Fat Quarter Shop awarded a Fat Quarter Bundle of fabrics in the Midnight Clear line. The winner is #27 Alison! Alison said “I love Juniper Berry! ” Congratulations, Alison! 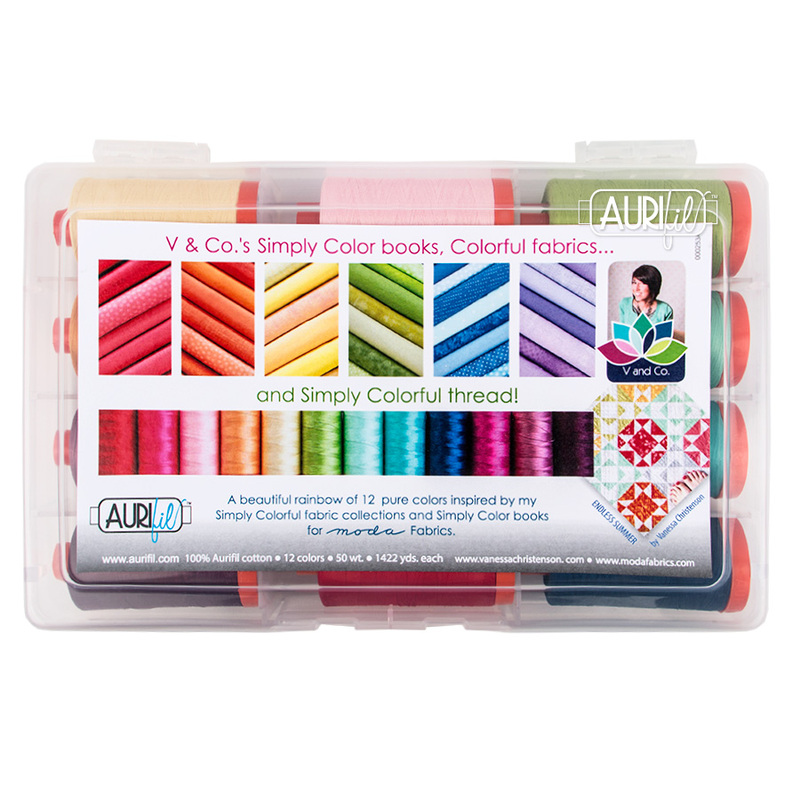 The kickoff sponsor, Aurifil Threads awarded a 12 spool box set of threads from V&Co Simply Color. And the winner is #113 Heidi! 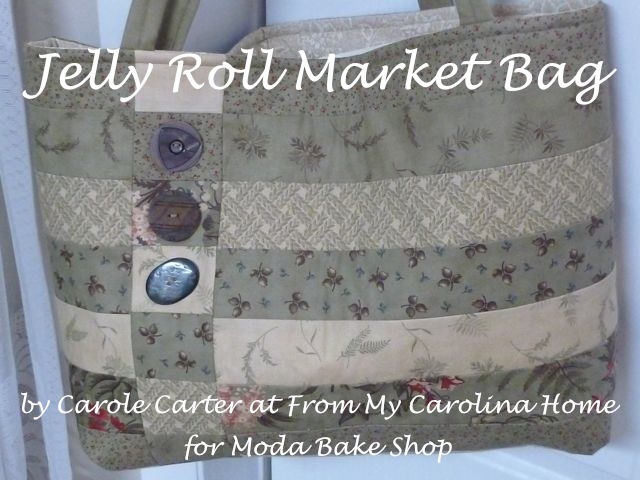 Heidi commented “Great idea for gift-giving Carole, thank you for sharing! 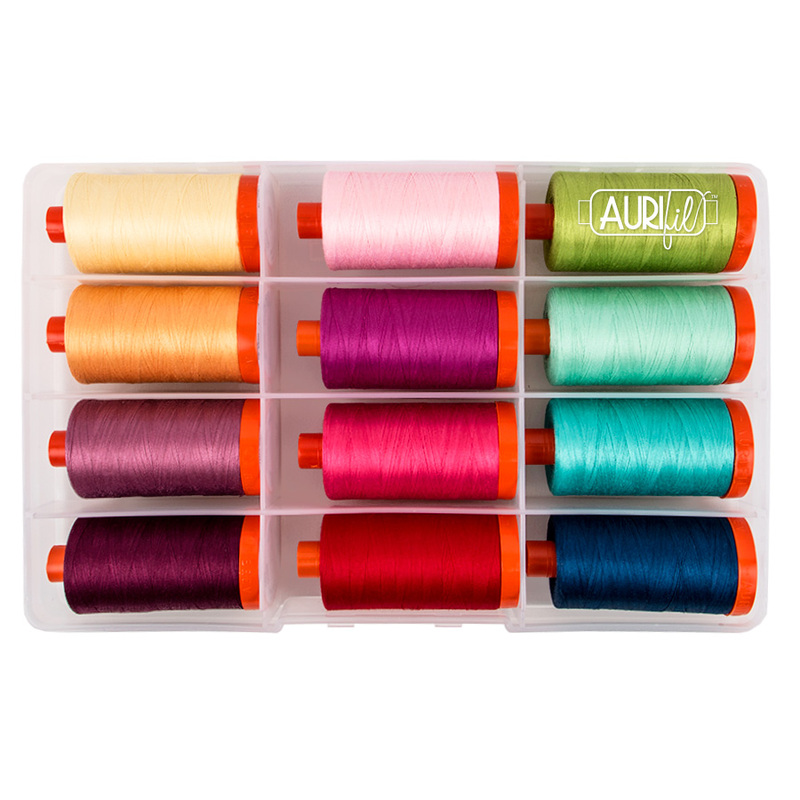 I follow Aurifil every which way, and most designers too, lol. 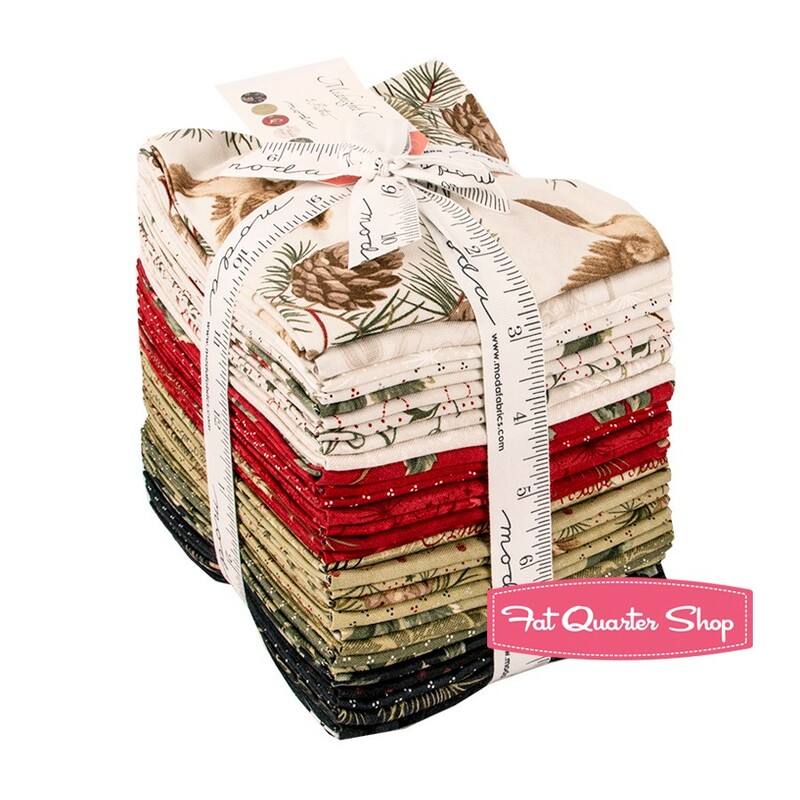 Love Lori Holt’s Christmas set!” Congratulations, Heidi! 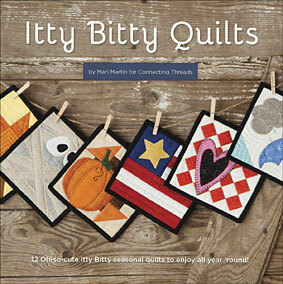 Connecting Threads awarded a Mini Quilt Stand, 4 headers, book and fabric stack. That lucky winner is #96 Sandra J! 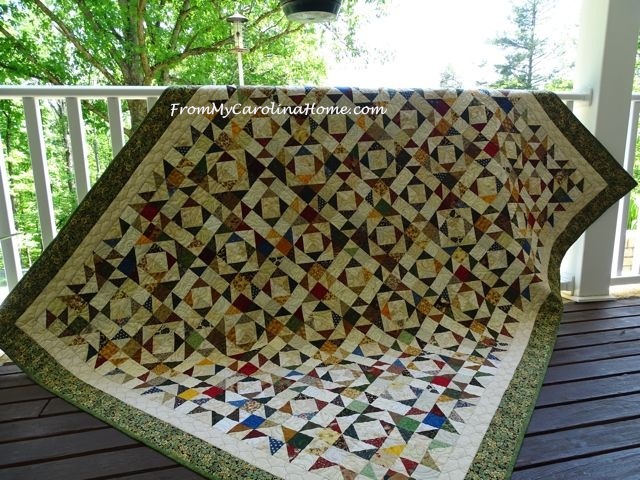 Sandra J wrote “I would have to say that my favorite line is “Christmas Remembered” with the Flurries fabric being my favorite.” Congratulations, Sandra! 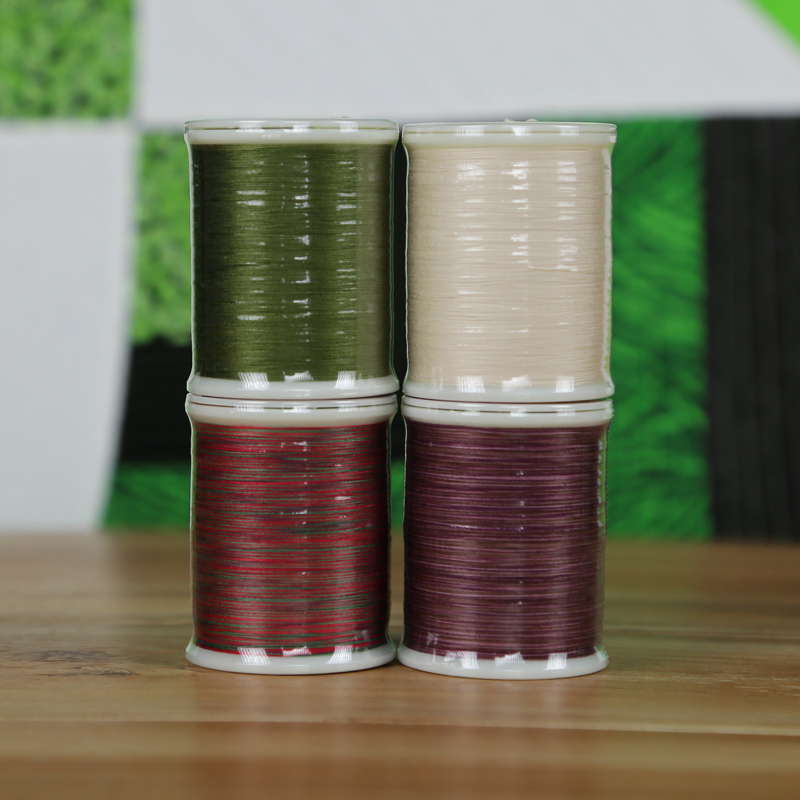 Superior Threads awarded the King Tut thread and needle prize to #70 Lori S! Lori said “I have not worked with metallic threads yet. So I checked that out. Wow I knew none of this. Going slow and why, tension, placing spool properly on machine and why, etc. very cool indeed. Book marked that page for all this wonderful educational hints. thanks for sharing this page with us.” Congratulations, Lori! 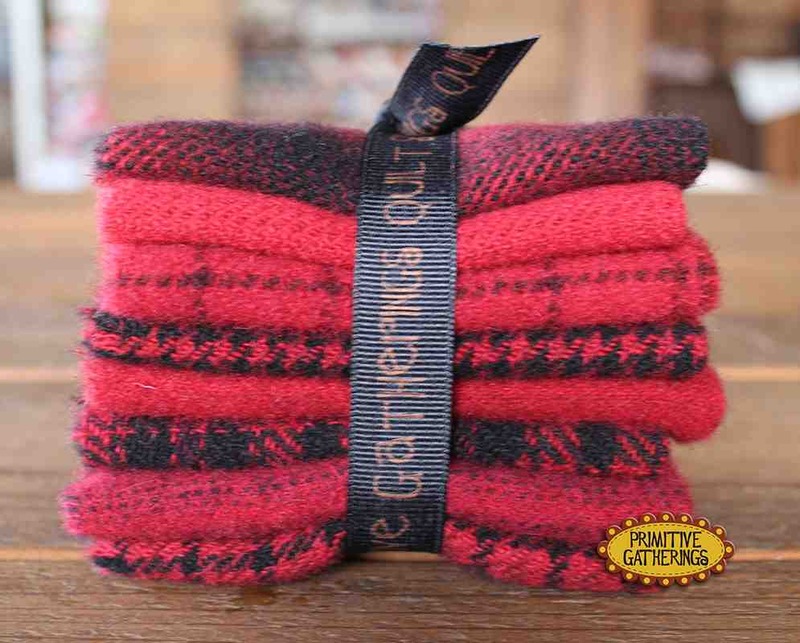 Primitive Gatherings awarded their lovely wool bundle to #9 Darla! 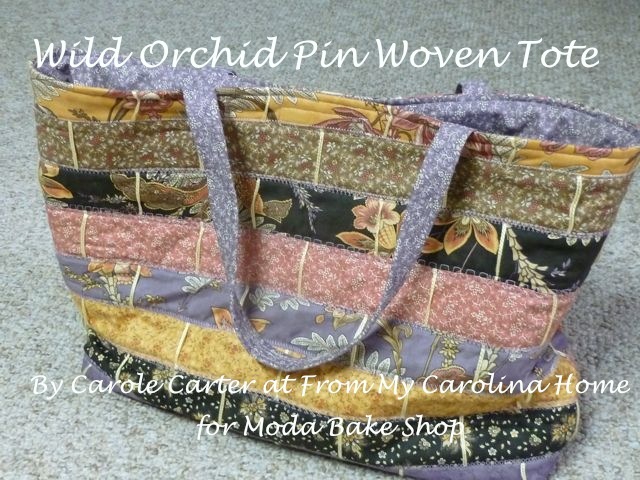 Darla wrote “This is something I think I could accomplish with my rather basic sewing skills. I’ve always liked the vintage penny rugs I see and it would be fun to do something for Christmas along those lines.” Congratulations, Darla! Stampin’ UP! will send their giveaway of a stamp set, paper and ink to #48 Linda in Montana! Linda commented “HI FROM MONTANA ! 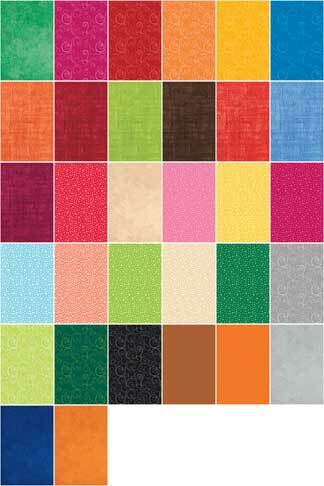 love this card kit: Oh Happy Day Card Kit ! Thanks for sharing!” Congratulations, Linda! Winners of the giveaways from me, congratulations to all the winners! Seed Bead Kits are going to -#33 Mary Jean Cunningham, and #24 Jayne P in the UK. If you missed anyone on the hop, here are all the links to the participating blogs. You may have to scroll back to get to their Christmas post, but the effort will be worth it. Lots more great ideas here. I am delighted to have new followers, and I hope you’ll continue to follow to see what is coming up next. Sharing with some of the parties on my sidebar, and .. Thanks for putting together the Christmas in July event. It was fun and gave me a great start for the holidays! It was FUN! It is ALWAYS FUN being invited into your Carolina Home! Thanks for organizing it all! Thank you Carole, what a party you have hosted! You really lit the Christmas fire within & you make it look so easy! I am starting the jewelry pouch, and I will have several of your suggestions on my mind while shopping the next few month’s. Thanks for coordinating with all the FAB sponsors too! I am over the moon with Aurifil! Thank you, it’s been fun checking in each day with new to me bloggers to see what’s being made for Christmas. All very interesting. This was lots of fun. Congrats to the winners and thank you to the sponsors. My next thread purchase will try out aurofil. I already use superior and connecting threads. Might have to get my stampin up things out and start making my Christmas cards soon. Great ideas. Thank you! I did have fun following along with your projects on this hop! I admire everything you make and seeing things in your lovely home. Enjoy the rest of the summer! I had a lot of fun, picked up some great ideas and won a prize. What more could I ask for? I’ll be posting and linking when my bundle arrives from Primitive Gatherings. I’m quite excited and will be watching the mail. Thanks for all the effort you put into this. Good Morning Carole! 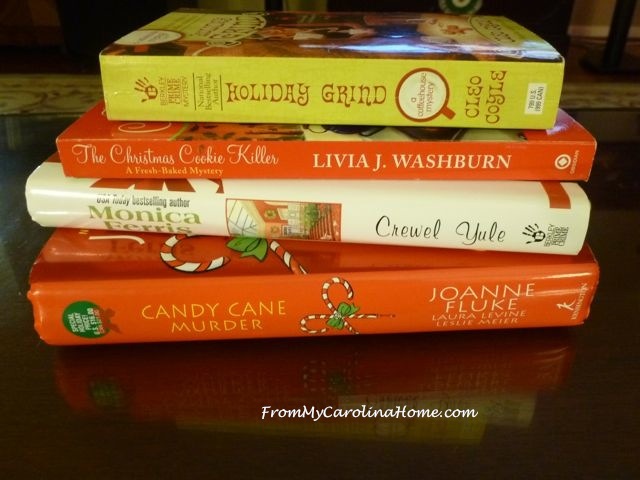 Oh My Goodness Yes, I had a great time reading every one of your posts for your Christmas in July Blog Hop! On top of just enjoying the visit and the read, I received so many fabulous ideas for Christmas gifts it is truly amazing and extremely appreciated!! 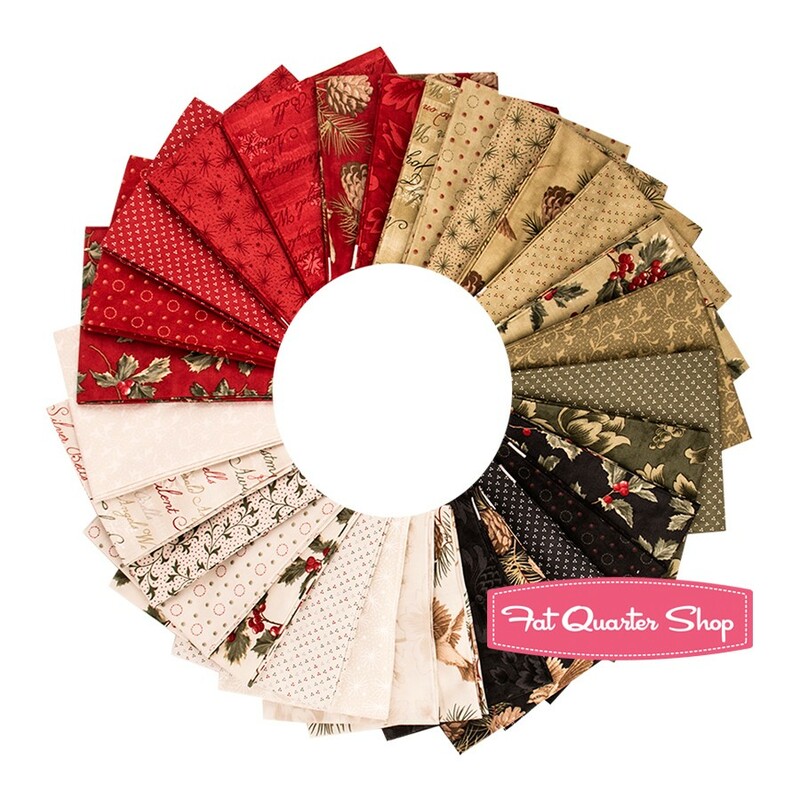 I in no way could even decide which is my favorite but I printed out several of the PDF files and am just in awe of your splendid creativity and your unselfish willingness to share all of your ideas and patterns with us! Plus, I am still doing the Happy Dance at winning the Book of my choice! I am exploring a number of new crafts this year and having a blast discovering if it is or is not a craft I would enjoy. One of the examples is Wreaths. There is really no right or wrong way to decorate a wreath, but discovering the ways that I prefer is fun but not always easy. Plus, a part of this wreath making but also goes into its own universe, is Bow Making. So winning your book is going to be so fun to explore and find out what kind of treasures it holds in its pages! I thank you for having this Christmas Blog Hop it has been fun and informative! You did a fantastic job Carole! I hope that you do it again next year and if you would like to have anyone to be a co host…I would love to be a part of it. I am trying to get my blog updated and running smoothly….hopefully soon. Have a fantastic creative day! Congratulations to all the Winners!!! Yay!!! Enjoy!!! I for one had great time, and thank you for Hosting such fun!! This was so much fun, plus I won something which was the cherry on top of this series of blog postings. Every Christmas I wait until it’s too late to get something made in time but after following this series I’m vowing to get serious and really get going in August, as soon as we finish helping our daughter move to Michigan this weekend – this is the year!!! Thank you so much, Carole, for taking the time and doing all the work to inspire us with these projects – it is greatly appreciated. It’s been a fabulous hop and coming here only to your site would have been plenty! I’ve found so many wonderful ideas for my own Christmas making. I really appreciate all the sponsors and even better that they are all companies I know and trust! Good Evening Carole! 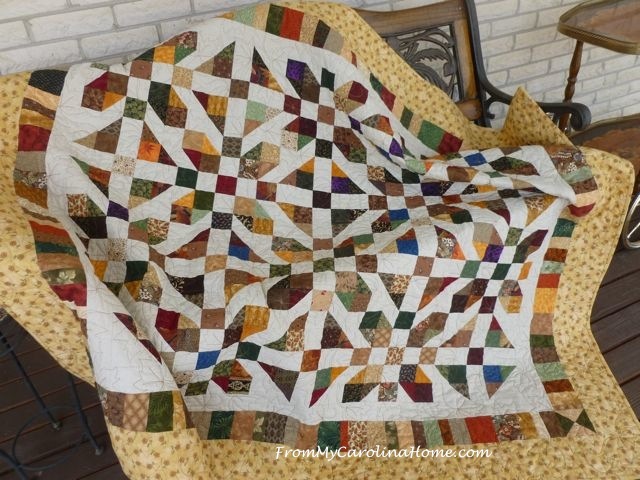 I just had to let you know that I finally did actually get my post written and posted with the Scrap Dance Tango quilt. Life has been topsy turvy here for quite some time and probably will be for awhile longer. But we are all dealing with it. One of the happy parts of that is my daughter announced just about a month ago that she is engaged and they are getting married on October 8. Thank you again for everything you do! Have a fantastic creative day!